Nothing is wrong, yet anyone would know that there is something perpetually askew about everything. Ciel feels he&apos;s been met with a fate that leaves him in the same situation as always; for he always feels more... knows more... and does more than everyone around him. So when Sebastian&apos;s softened gaze meets his in the doorway, he doesn&apos;t pretend. He doesn&apos;t pretend that there is an absence of the icy tears flowing down his cheeks. He doesn&apos;t pretend that nothing has happened, and he doesn&apos;t pretend to hide the pain behind his eyes. "I know, my lord. It&apos;s quite alright." His servant&apos;s comforting arms lift him effortlessly. Whispers the boy, holding on to him tightly. "I need you... I really need you." And his voice is softer than the blackened leaves that fall past the broken window as he is carried to his room. The hallway is a dark sort of undesirable mystery; its lighting low and threatening. But when they reach the bedroom, the cold darkness is replaced with a warm, softer one. "Sebastian, I&apos;m tired. Please prepare my bath." The former Phantomhive&apos;s voice trembles as a blush graces his cheeks. On this occasion, the butler&apos;s touch is soft... gentle, and loving as he undresses the boy slowly. Ciel&apos;s hands move with Sebastian&apos;s as a longing for the comforting caress takes him. Ciel&apos;s eyes still waver, and he still trembles in Sebastian&apos;s arms as their eyes meet gracefully. Then, the boy&apos;s eyes close as his small fingers grip Sebastian&apos;s thin wrists. And the empty statement comes again. His voice now comes below a whisper, for he cannot see Sebastian lean forward to place his lips upon the boy&apos;s.  His eyes open swiftly, only to flutter closed as he leans closer. Ciel relaxes as Sebastian pushes him down onto the soft mattress of his bed, lovingly wrapping his arms around him. Their lips move with one another as if cut from the same stone; molding together like the steady ticking of the clock overhead. 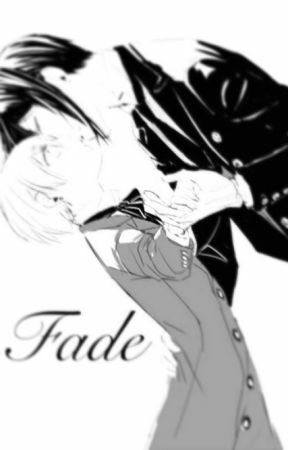 Ciel&apos;s graceful fingers dance along the butler&apos;s collar as he pulls him down closer, entwining their tongues like they have countless times before. Whispers the boy as he pulls away briefly for air, shivering as Sebastian&apos;s long fingers trace down his delicate sides. Sebastian nuzzles into the boy&apos;s neck, lightly planting a kiss upon the sensitive skin, causing Ciel&apos;s eyes to flutter closed once more. A quiet whimper escapes the former Earl&apos;s lips as he grips his shoulders tightly, leaning his head back into the soft blankets. Sebastian&apos;s husky voice echoes around the disembodied presence of a question. The boy nods, running his fingers through the black strands of the butler&apos;s hair. Not another word is uttered, for Ciel&apos;s questions will most surely go unanswered. 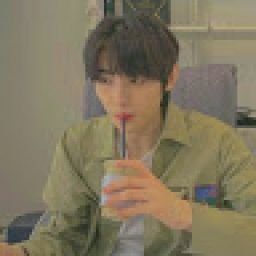 Ciel himself knows not why the sudden sentimentality has arisen... but perhaps the ever waging battle of humanity against the presence of demonic afflictions as clashed like the ever changing tide. Ciel needs Sebastian as a child needs his mother&apos;s side... as the moon needs the stars... as the seasons need winter, and as heaven needs hell... even if he&apos;d rather not be subjected to choose. Though he&apos;s always been sure he&apos;d been destined here from the start.